At RF Bathroom & Kitchen Products we aim to provide our valued customers with innovative solutions that are highly functional without sacrificing their form or their aesthetics. Manufactured from the highest quality materials and resistant to staining and deterioration when exposed to wet and damp conditions the shower channels keep Sydney, Melbourne and Adelaide bathrooms in the best condition. 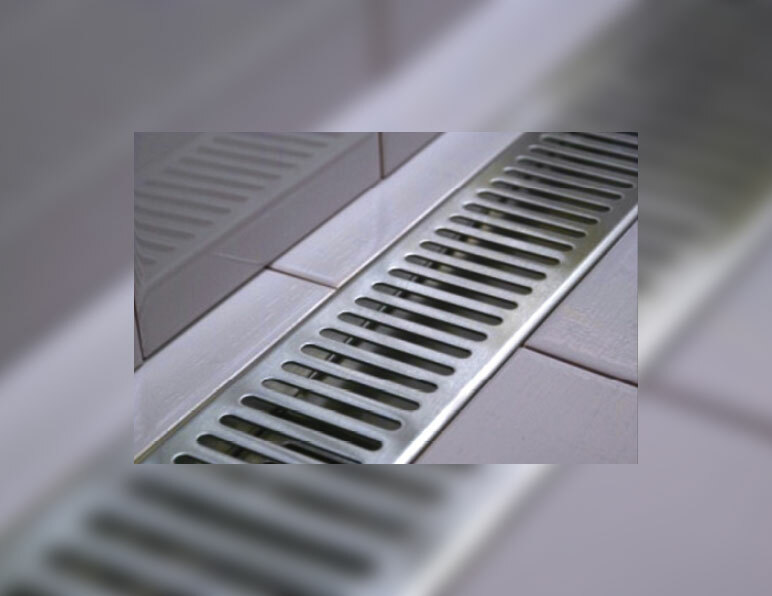 The channel grates stocked by RF Bathroom & Kitchen Products allow for the fast and efficient draining of waste water, preventing it from pooling and becoming a slipping hazard. Shower channel grates fit seamlessly into the floor of your bathroom, allowing water to drain easily and quickly, meaning you’ll avoid the unattractive and frustrating build-up of grime that can occur with slow drainage. There is nothing worse than carefully designing your dream bathroom and selecting the perfect set of tiles, only to have the look or flow of the space ruined by an unseemly plug in the middle of the floor. With their sleek and minimalist style, shower channel grates can open up any bathroom, discreetly fitting close to the wall or level with your existing tiles. Our line of quality shower channels makes blocked drains a thing of the past. Their simple design ensures cleaning and maintenance are a breeze while also helping to keep your bathroom as hygienic as possible. We have been a leading name for shower channel grates and other bathroom products for over 15 years, providing lasting services and solutions to bathrooms of all shapes and sizes and delivering products at competitive prices. Our expert team have a trained eye for detail, providing you with the right shower channel that will ensure your bathroom has a consistent and striking design. Offering a range of customisable shower channel solutions to homes and businesses across Melbourne, Sydney, Brisbane and Adelaide, the RF team will assist you in finding the perfect products to suit your draining needs, helping to make your bathroom cleaner and all the more stylish. For a wide range of trusted ‘bathroom and shower products near me’ you simply can’t go wrong with RF Bathroom & Kitchen Products, and our team of passionate experts. We are the wholesaler of choice for any large-scale bathroom project. From hotels to hostels, caravan parks to apartment blocks, we have the capability to supply the shower channel grates Adelaide, Brisbane, Sydney and Melbourne plumbers, builders and business owners can rely upon. Our range of shower grate styles are ready to fit in any bathroom, with round, square, oval, rectangle, nonslip rectangle, solid and tile insert lid patterns available. Family owned and operated for over 15 years, RF Bathroom & Kitchen Products has the team retailers and plumbing supply stores know and trust for friendly and efficient service. All of our products’ technical specifications can be found right here on the website, so you can assess which product range is right for you. From there, why not give us a call? We are available Monday to Friday, 8am to 5pm, providing professional advice and personalised service for all of our valued customers, be they trade, residential or commercial. 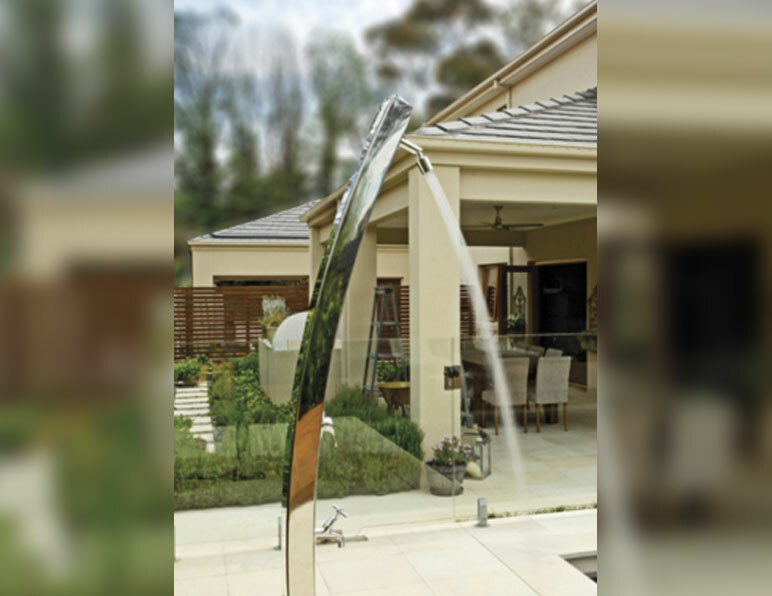 Our brushed stainless steel is the perfect choice for shower channels in Brisbane, Melbourne, Sydney or Adelaide pools and gyms. It is durable enough to withstand heavy use in high traffic areas, while the simple construction and design makes it easy and affordable to replace when the time comes. Options include nonslip lid patterns, making this the smart choice when looking to fulfil safety obligations. The fast draining design of our shower channel grates further enhances their safety and the safety of surrounding surfaces. We have shower channel grates for sale in eight predetermined lengths, with special lengths available upon request. Our mission is to be the one-stop-shop for shower channel grates Sydney, Melbourne, Brisbane and Adelaide builders, retailers and tradespeople can rely on for all projects large or small. To learn more about the unique benefits of our shower channel grates Melbourne, Brisbane and Sydney residents are encouraged to call us directly on 03 9796 3969.